Golf can be one of the more complex hobbies to pick up. While it may seem straightforward at a cursory glance, there are many different phases, tools, and techniques that need to be learned before you can start playing the game at a fairly standard level. Whenever you make the decision to pick up golf for the first time, be prepared for a long term commitment. It’s going to take a lot of practice at the driving range and a lot of days on the course to begin feeling comfortable with your swing and understand your shot. As a beginner, there are a few high level topics to focus on that will help you understand how to get started with golf. Just remember that once you become comfortable with the game, you’re entering a world that can be exciting, relaxing, and memorable all at once episodes in your life, if the foundation to learning golf basics is right. In our Golf Swing Beginners Guide, we discussed how to swing a club, but not what clubs you will be using. 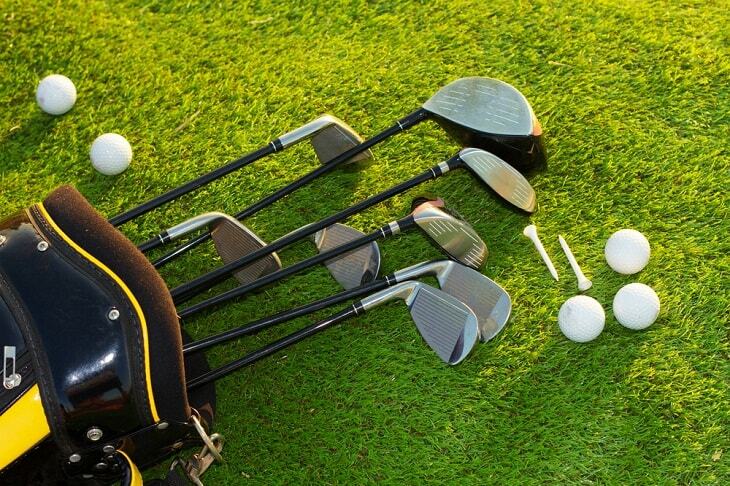 Learn more about the most important clubs for beginners and how they should be used. The first thing to practice and bring into habit is properly gripping your club. As you make your way through the course, you’ll be gripping golf clubs of various weights, lengths, and sizes. 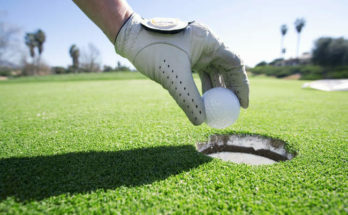 It’s not as simple as gripping it and ripping it – as a golfer, you need to understand how your grip can be translated between drives, putts, chips, and more. 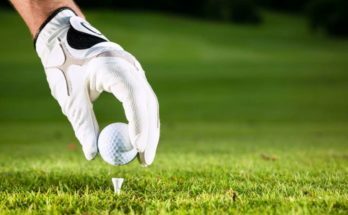 Improper grip is one of the easiest mistakes that beginners can make, and often frustrates new students as they watch their balls sail widely off course – or perhaps miss the ball altogether. In addition, the wrong grip can potentially build unnecessary tension on the wrong sets of your hand muscles and cause pain or soreness. To start, you’re going to want to grab the shaft where it meets the grip with your right hand and hold the club out in front of you. Try your best to hold it at about a 45 degree angle. Next, rotate your left palm toward you and set your grip precisely in the area between your first knuckle and the top of your palm. Make sure to keep the position of the grip in your left hand steady. Now curl your left-hand pinkie, ring, and middle fingers until they’re firmly clasped around the handle. If you’ve done it correctly, it should feel as though every part of the undersides of the fingers is in contact with the grip. Now, without changing the grip’s position, roll your left thumb over to the right side of the handle and curl your left index finger around the grip. It’s important to make sure that the base of your thumb is pressing directly down on the handle with the proper amount of pressure (a firm grip, but not enough to cause discomfort). Now slide your right hand toward your left hand and echo the same movement that you did with your right hand by allowing the shaft to sit between your first knuckle and the base of your palm. Next, interlock your right pinkie into the area located between your left middle and index fingers. Now move your right ring and middle fingers around the handle. It’s very important that you make a connection here and add a bit of pressure to the handle with your last two fingers. Place the lifeline on your right palm right over your left thumb and proceed to roll your right thumb to the left. Curling your right index finger around the handle simultaneously. You should feel pressure from the area at the base of your right thumb on your left thumb. Make sure to mentally complete this check every time you pick up a club. Another common mistake that beginners tend to make is that their grip is too far up from the sweet spot. This tends to commonly cause a loss of control and can also result in shots coming out of the heel of the club. Your goal should always be to leave an inch between the top of your grip and the end of the club. Fortunately on many grips, there’s a mark where your bottom thumb should go. More often than not, your driver is the first club you will use to start most holes. Depending on how well you hit your drive will determine how good your hole may be. In order to ensure the most power and accuracy from your swing, understanding how to use your driver is essential for success. Before your swing when you go to approach the ball, you’ll want to place the ball more towards the front of your stance, almost even with the heel of your front foot. Based on the nature of hitting a driver, you do not want the ball in the middle of your stance because you will not be able to get full extension on your swing. In your stance, you want to evenly distribute your weight between both feet. Once you are ready to swing, you need to keep your backswing as fluid as possible while rotating your hips, and bringing the club up. It’s easy to get yourself off balance during your backswing due to wanting to swing hard, but you want to resist the urge. This will come over time. Once you are at the top of your backswing and starting your downswing, it is important to keep your arms and wrists in sync with your hips. It’s very common to bring either your hips or arms through the swing first, which will result in changing the angle of the club’s face. It’s a great feeling hitting your irons after a great drive to get your ball on the green. In most golfer’s bags there are a variety of irons. Most sets include irons from 9 down to 3. The numbers signify different heads that have size, shape, and loft variances. Depending on what iron you are hitting, you will most likely want to have the ball positioned in the middle to front of your stance. If you are using a long iron, say a 3 or 4, you want the ball more in front. 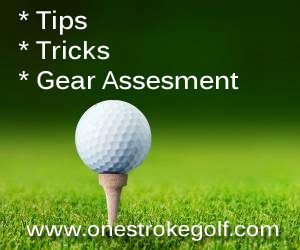 Whereas if you are using your mid to low irons, having the ball in the middle of your stance will be fine. 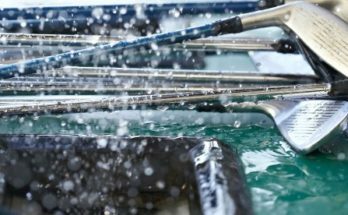 When hitting irons, you do not need to swing too hard. Over time you will learn how to hit your irons effectively, and realize sometimes less is more. Usually the smoother the swing, the better the shot with irons. If your game is anything like mine and you miss the green, then you will have to plan the right recovery shot. These kind of shots can be harder for beginners because you need to get a feel for your club as well as your swing. Many times you do not need a full swing when you are chipping because you are closer to the hole, and don’t want to get further away due to a shot that was too strong. Clubs used to chip are called wedges, and these clubs are designed to get a good amount of loft on the shot based on the angle of the head. The most common head angles are 52 and 56 degrees. When shooting wedges, it is best to place the ball in the middle to back of your stance since these clubs aren’t long like a driver or wood. Similarly, you do not need a hard swing, and over time you will develop the feel for how hard your shot needs to be. If you’re anything like me, you’ll learn to enjoy wedges! Putting often times can be the most difficult and frustrating portion of any round of golf. A nice drive and solid approach shot can set you up for success on the green , but a poor putt (or 3 in my case) can be totally derailed the entire hole. When you are putting, your swing should simply look like pendulum swinging in a back and forth motion. During your putt, it’s important to remember to keep your body straight and in line. You do not want your shoulders or hips turning, as this causes the angle of the putter’s head to change. Depending on the courses you may play, the greens can either be simple and slow, or extremely challenging and fast with hills, and bumps. You will eventually learn how to “read the green”, or simply, figure out how the green is going to break and its impact on how the ball will go. Putting is one of the more complicated aspects of golf despite looking like the most simple. It’s as they say “Driver for show, putting for dough”. Once you get out to a range or local course and figure out how to utilize each club properly, not only will you have a better understanding of how to improve your swing, but you’ll be able to figure out how what clubs you need in whatever situation you may find yourself in during a round. 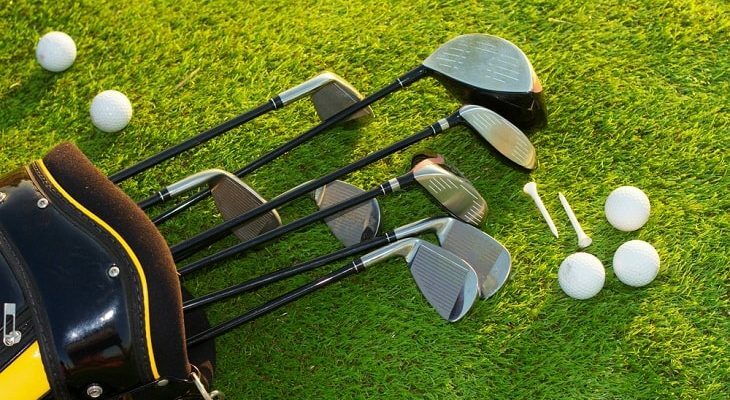 Previous Article How Many Golf Clubs Should Be In A Golf Bag?